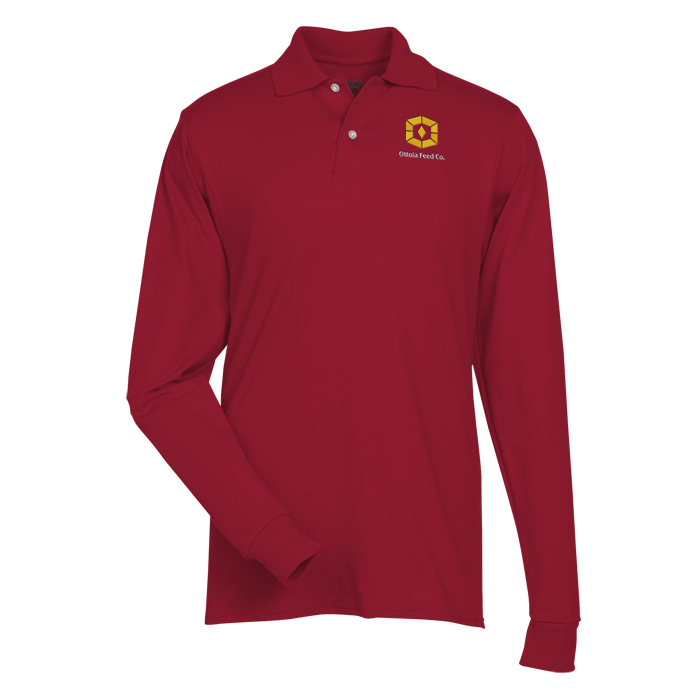 Heavyweight 50/50 cotton/polyester jersey fabric looks great—even after repeated washings! 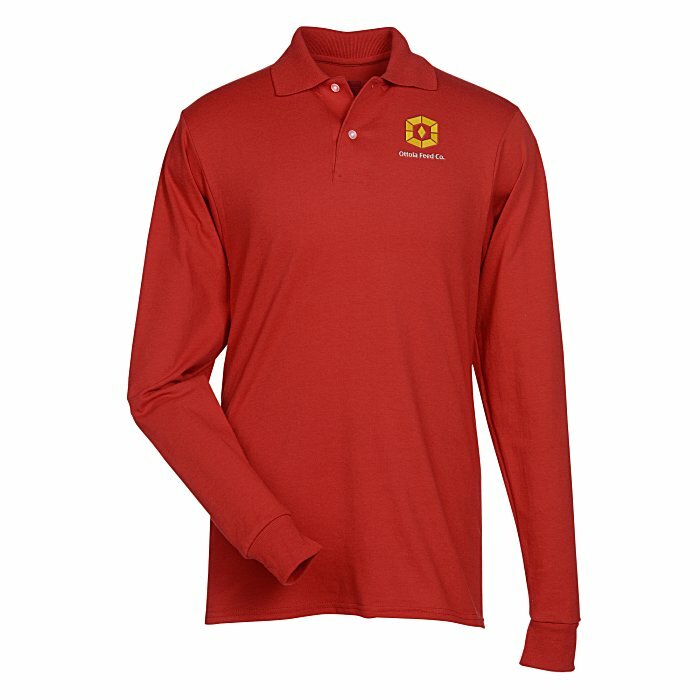 Men's polo features a roomy, relaxed fit ideal for work or play. 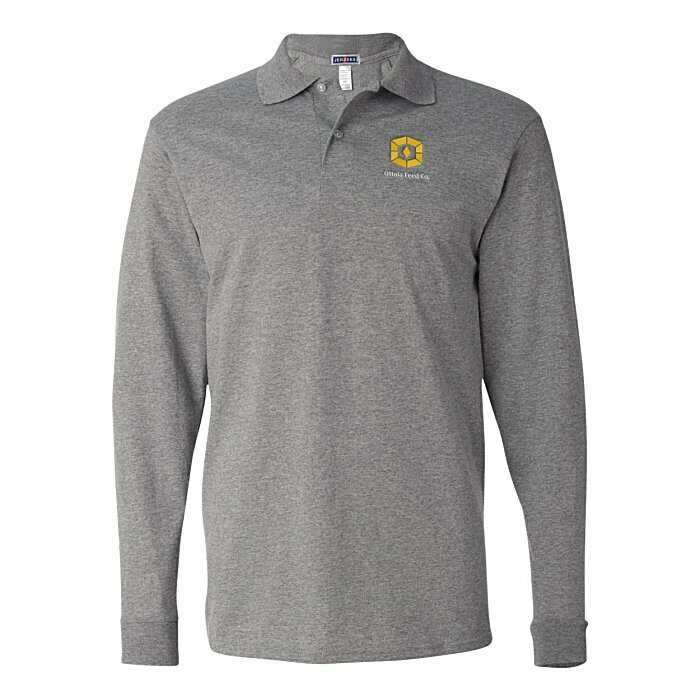 Long-sleeve shirt features SpotShield™ stain resistance, so most water and oil-based spills bead up and roll right off! Welt collar, rib knit cuffs and double-needle stitched construction ensure all-day comfort. 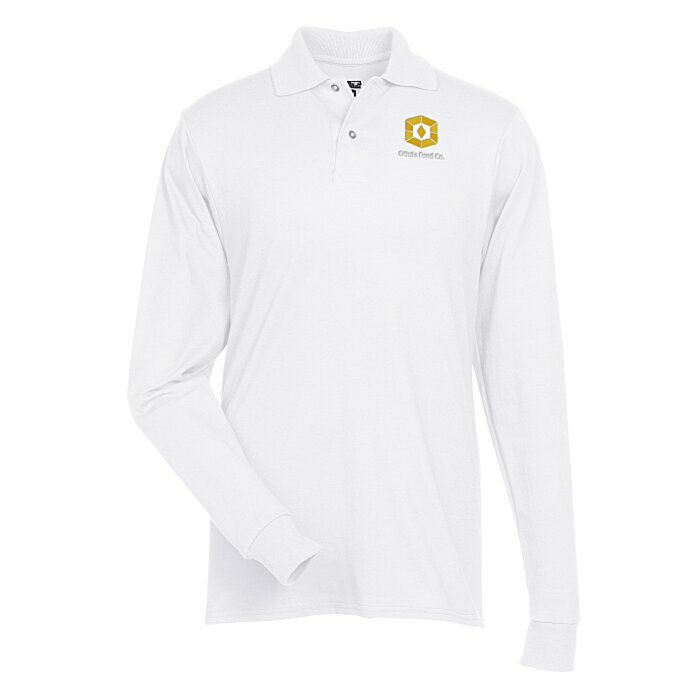 White pearlized buttons on the reinforced placket offer attractive accenting.